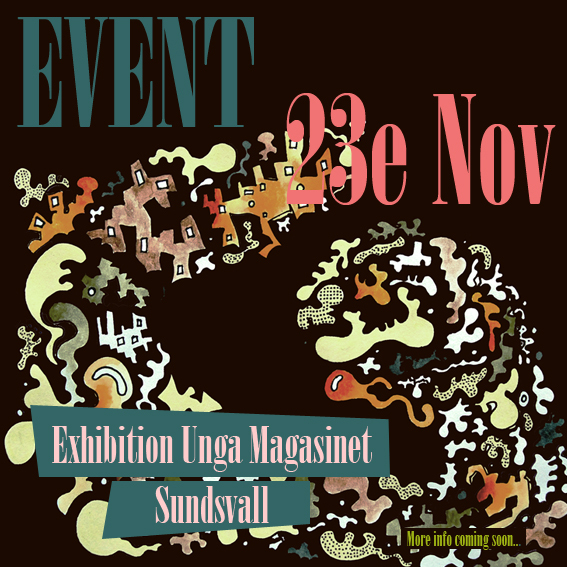 At the 23rd of November I am exhibiting my art at the café Unga Magasinet in Sundsvall, Sweden. The exhibition will be opened with a lecture by the photographer Elizabeth Ohlson Wallin, famous for ecce homo. I am very excited by this and more info on the event will be coming shortly.